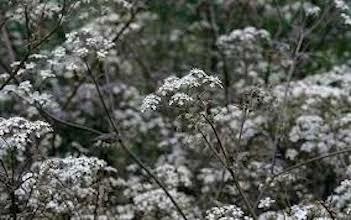 Anthriscus sylvestris ‘Ravenswing’ is a pretty form of common cow parsley, bearing clusters of tiny, cream-white flowers in contrast with lacy, dark purple foliage. It’s perfect for growing in a large informal border or cottage garden scheme, and is perfect for using in meadows among ornamental grasses. It makes a dramatic cut flower. Categories: A-D, Featured Plants, New Plants for 2019, Plants A-Z, Plants by Season, Plants In Situ, Spring, Summer, The Yellow Garden. 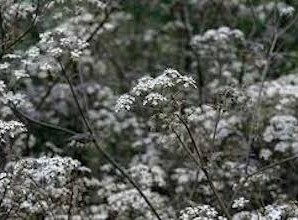 A 2019 “must have” plant, Anthriscus sylvestris ‘Ravenswing’ is the most elegant and garden-worthy form of the common cow parsley. With stunning, rich deep purple, almost black, finely cut ferny foliage the first year, it explodes the second year with delicate clusters of small white flowers held above the darkest of foliage. Grown for both the foliage and the frothy umbels, it is so popular among Chelsea designers that this plant is in danger of becoming a cliché! Growing to around 50cm tall and as wide, the plants are best in a full sun to light shaded position with regular water and rich soil. Too much shade results in green leaves. This biennial or short-lived perennial will flower in its second summer. You can cut the stems back to maintain the foliage-only look, or let them self-sow for new plants. It comes true from seed, but be selective and choose the darkest of the seedlings which can be easily moved or potted on.